SSC CGL 2018 Admit Card Tier 1 2019 Exam Roll No. 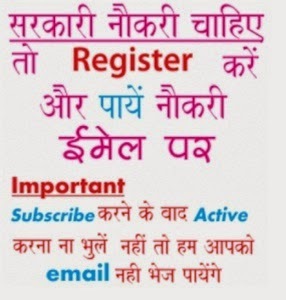 Home » 2019 , Admit Card , CGL , Exam , Results , SSC » SSC CGL 2018 Admit Card Tier 1 2019 Exam Roll No. Staff Selection Commission (SSC) CGL 2017 Exam Notice: SSC has issued Combined Graduate Level Exam 2017 official notification for recruitment of various posts as assistants in government departments. Interested and eligible applicants have to submit online applications on or before 16 June 2017 for Tier 1 and _______ for Tier II by visiting web portal www.ssconline.nic.in and SSC CGL Written Exam will held on 01 to 20 August 2017 followed by GD/ Interview. Further information of SSC CGL 2017 regarding registration, exam schedule, application process etc is mentioned below…………………………. SSC CGL Notification Release date: SSC CGL 2018 Notification had been released. Step 1: Go to http://ssconline.nic.in and select exam by clicking on click here (CGL 2017) under online form. It will be available after the release of recruitment notification. Remember to fill both parts of your registration on any one server. If you have filled your part 1 registration on server 1 website, then you need to fill part 2 also on server 1. And if you have filled your registration on server 2 website, then you need to fill part 2 also on server 2. Step 2: After that fill in all your exact details as per your documents. Take a note of your registration id. Step 3: Take a print out of fee challan and pay the requisite fee in state bank of india. Step 4: Now again go to SSC website on the server where you have applied and click on part II registration and fill in transaction no. given by the bank on fee challan and after that upload photo and signature and click submit. Step 5: After you have done all this, a next screen will pop up telling you that you have applied for SSC CGL. All done. You have successfully applied for SSC CGL 2017. Step 6; Also take a print out of application form by going to website and click on view/print and then follow the instructions. However you don’t have to send it. Note: Only use internet explorer or opera browser as per SSC website compatibility. Google Chrome is not supported as per SSC website. So if you don’t want to face any problem in applying online, then use only one either internet explorer or opera browser. If you don’t have confidence in how the application form to be filled, then go to your nearest cyber café and make it filled by professionals. The above given date is just estimation based on previous years. We will update this page as soon as official details gets released. You can apply on any one server of SSC for CGL 2017. You need to fill both parts of your application on that same server. Tier 1 Exam date - 01 to 20 August 2017. SSC (Staff Selection Commission) - CGL Exam Answer Key Tier 1 Re-Exam held on 2019. Download SSC CGL Exam Answer Key or Solved Paper issued in 2019from official website www.ssc.nic.in. Through Answer Key your can compare your answer given in exam. Tier 3 (newly introduced): Descriptive type paper to be conducted through pen and paper mode. Tier 4: CPT / DEST. SSC has conducted Combined Graduate Level Exam 2013 at 07 Centres i.e. Lucknow, Patna, Allahabad, Delhi, Jaipur and Shimla, Dehradun. How to download SSC CGL Exam Answer Key?